Add the brown sugar and cider to a large saucepan and place over a medium-low heat. Stir occasionally until the sugar has dissolved. Add the apples and stir, and then add all of the other ingredients except for the rum (or brandy). Simmer (stirring occasionally) for 30 minutes to an hour until the apple has cooked and the mix is becoming ‘mushy’. The time it takes will depend on the size (and type) of your apple dice. If you want it to be quicker, you could use tinned diced apples. Set aside to cool and then stir through the rum (or brandy). 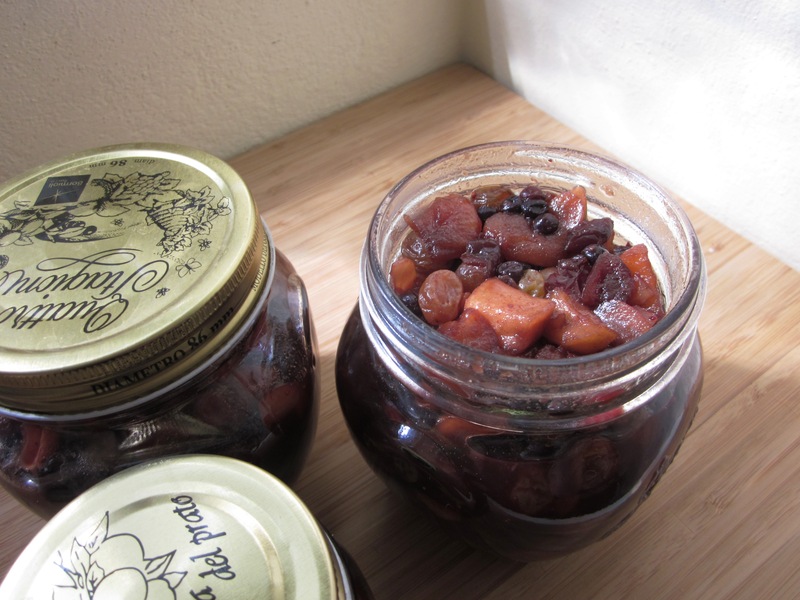 Place in sterilised jars and place in the fridge (or a cool dry place) until you want to use it. It is best made at least a week before you want to use it, however it should keep for at least 6 months. I found this in Salers in France. 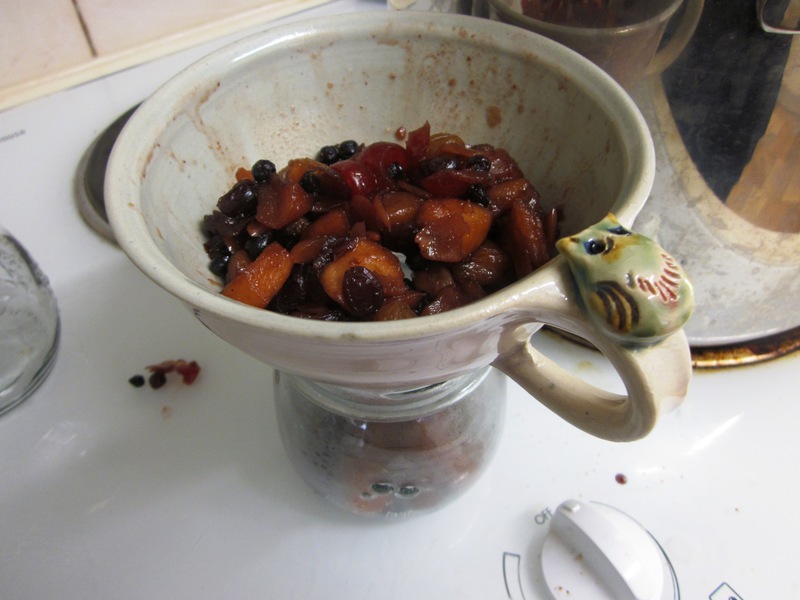 It is a funnel for putting jam etc into jars. When I saw the owl I had to have it, as my family collects owls (my Nanna started it). 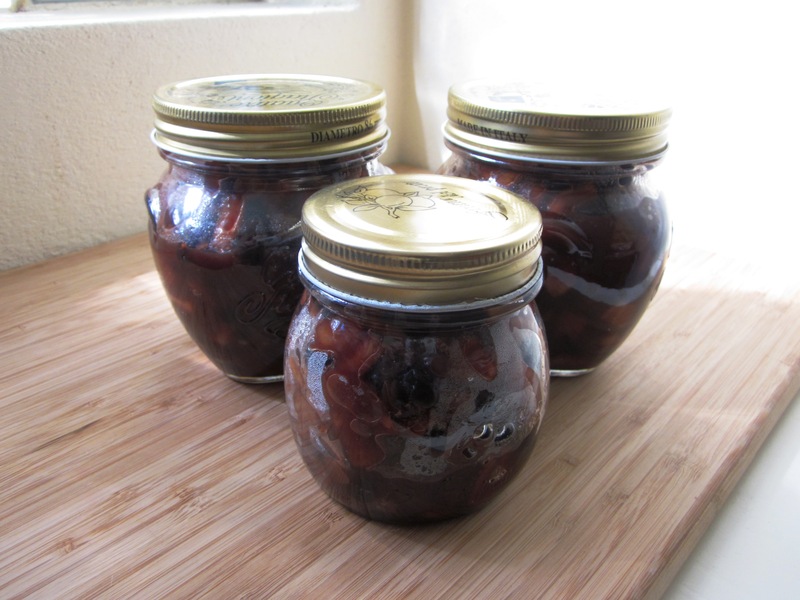 Note – to sterilise the jars, wash them in soapy water, rinse and dry, and then place on a tray and in an oven which has been preheated to 160C fan forced (180C) for 5 minutes.